I decided I should try to find all of our old Halloween pictures and post them as my flashback photos. 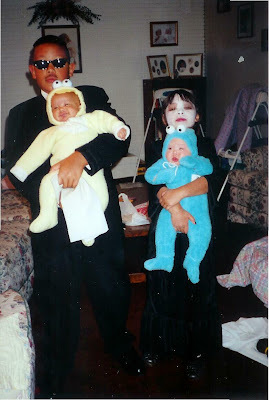 I'll start with this one of the twins first Halloween. From left to right we have Mr. J of Men in Black holding a little Big Bird, and Morticia from The Adams Family holding Cookie Monster.